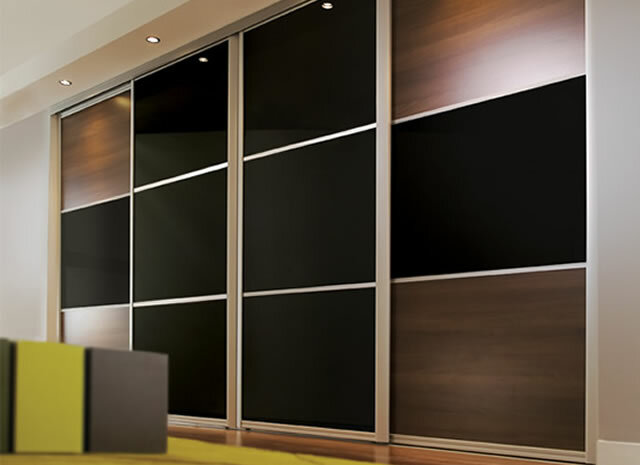 Whether you’re a first time DIY enthusiast starting from scratch, or an experienced tradesman, looking to replace an old set of sliding wardrobe doors, you’re in the right place. 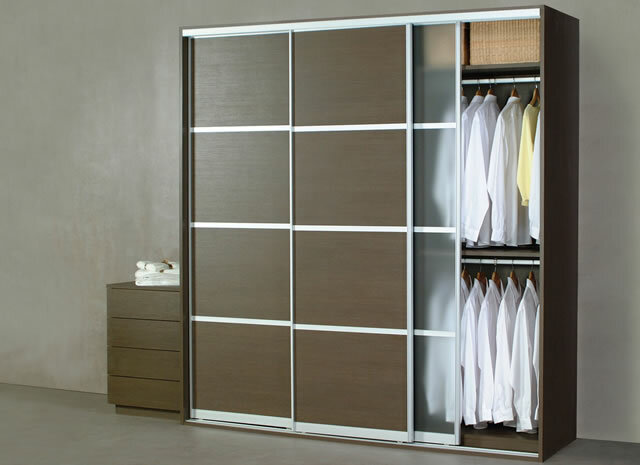 We have the widest range in both made to measure and standard sizes. We have the right price and product for you whether it’s for a budget rental project, spare room, luxury hotel bedroom or apartment block. This is our core business. If a product, design or material you have in mind is not on show, just give us a call, as we have many options not shown on the website. 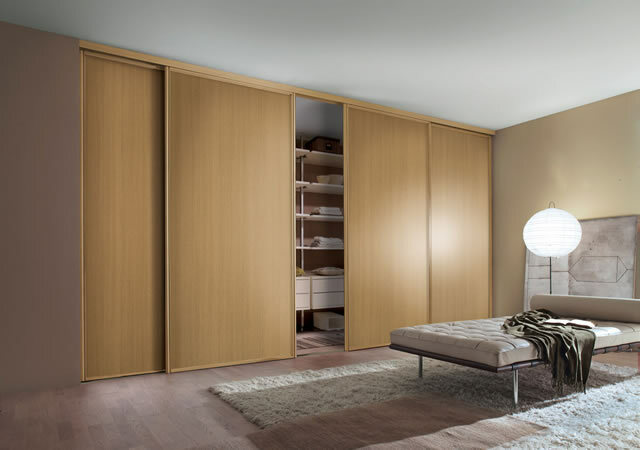 All our made to measure sliding wardrobe doors are manufactured to your order in the 2 best equipped factories in the UK. For those lucky enough to have standard sized openings, watching the budget, or for the DIY enthusiast or carpenter prepared to modify an opening to suit. 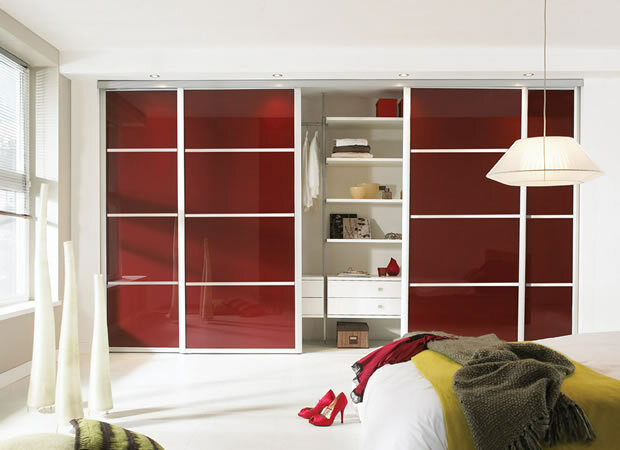 Our standard sized sliding wardrobe doors are a great value choice. We now upgrade all standard doors to higher specification tracks, wheels and soft close if required. 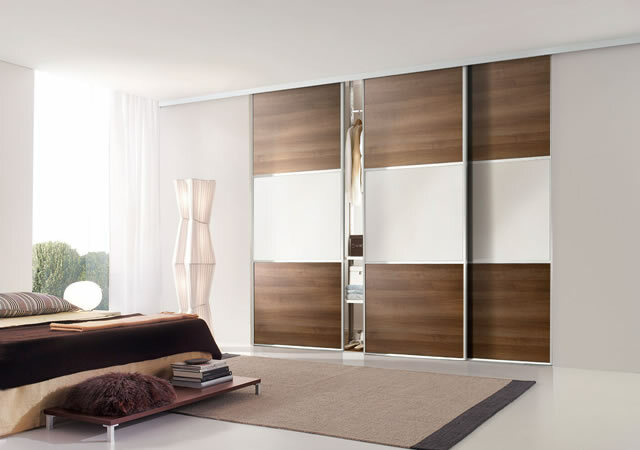 Every single one of our door systems can be used to make mirror doors. 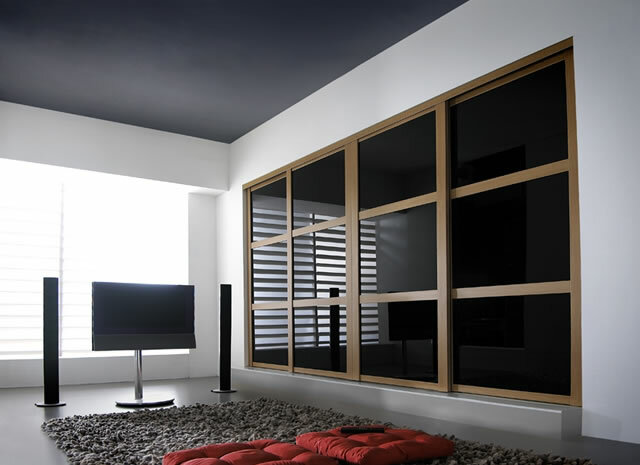 In fact, our factories were originally designed to manufacture sliding mirror doors, but have developed into using many other materials. 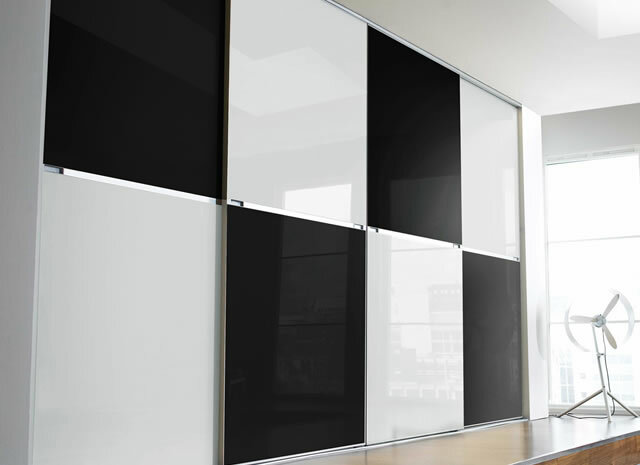 We are one of the largest consumers of safety mirror in Europe, and have contracts with all the major glass manufacturers, giving us great prices that we pass onto our customers. As well as supplying end customers direct to their homes, we also supply the largest builders in the country, often with in excess of 500 sets of doors for a single project. We are Constructionline Gold Certified, and have Acclaim Health & Safety Accreditation. Contact us by phone or email for special prices on large orders. 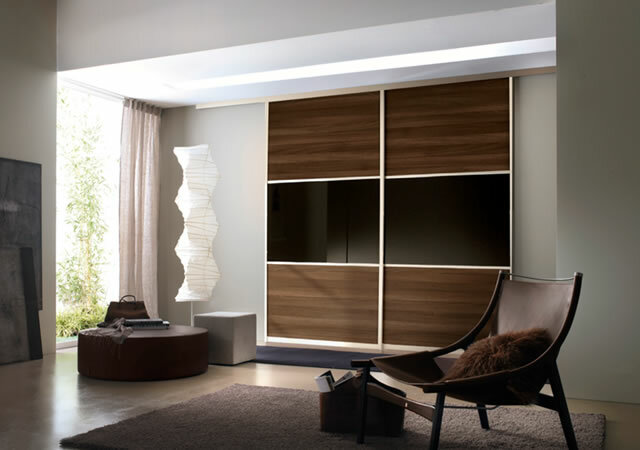 We have both budget and high end options for your sliding wardrobe. Alume Relax and Aura are our modern stanchion systems or S9 Traditional for a high quality MFC wood interior. Have fun using our simple design tools, or call us if you need something a bit more complicated. 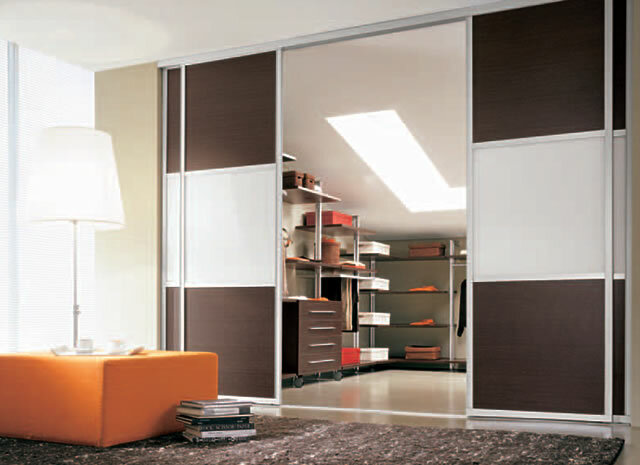 Produced in the UK, and designed to match your sliding wardrobe doors. 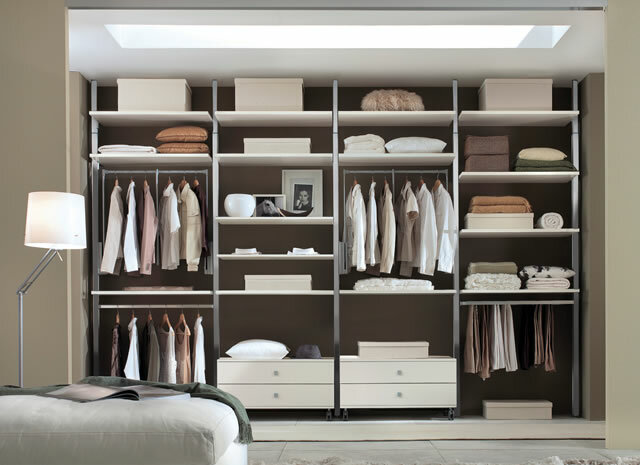 Pre-assembled, and only using high quality poplar faced plywood drawers and Blum soft close hardware. Whether its matching end panels or wood framing, angled ceiling blocks or opening height reducers, we’ve got all the accessories you need for the perfect installation. Our employees have grown up in this industry, mostly with a technical background, so you’ll get the best advice the industry has to offer, as well as the best product. The majority of our doors are produced in the largest factory in the UK supplying some of the biggest retailers and previously owned by Stanley Tools. All our doors come guaranteed for 10 Years on moving parts. Read our technical specifications for more information, or call us. All prices include VAT and we have a subsidised flat rate delivery of only £60 anywhere in Mainland UK. We can deliver to Northern Ireland the Channel Islands for an extra £30.